With automobile tech improving day by day, the competition between car manufacturers has grown fiercer than before. Cars being produced are cutting edge concerning technology, design, purpose or sheer luxury. Google threw its hat in when it said it is in the process of launching Waymo – an automatic system to robotise taxis – which are essentially self-driving vehicles, for customers. This has caused car giants like General Motors and Volkswagen also to plan and enter the taxi business. 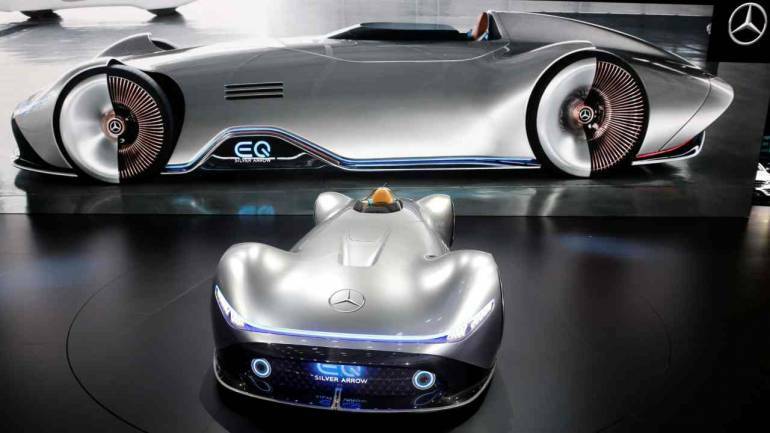 Not wanting to miss out on the “robotaxi” bandwagon, Mercedes Benz is gearing up to develop the self-driving tech. Although the German manufacturer aims to perfect the technology, it does not seek to be the pioneer in the same. Google’s Waymo division has completed the most test miles with prototype vehicles, and with promising results on the charts, it has sparked a fierce fight among car manufacturers. Mercedes is known for being a pioneer in car technologies, with masterpieces like the AMG GT-R, SLS and SLK series under its belt. Also, Mercedes is also a segment leader when it comes to heavy-duty luxury vehicles, like the GLA class. Now, it will be interesting to see which segment Mercedes prefers for the driverless car technology. Although the concept is still under wraps, it could be assumed that Mercedes could choose the rather economical A-class as its contender.Whether Mercedes stands true to its word will be seen later, but the acceptance of the “robotaxi” challenge by the German car maker is indicating towards an advanced, driverless car-hailing service in the future.